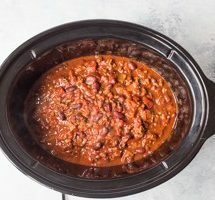 Slow Cooker Chili - Easy Crockpot Chili Recipe! 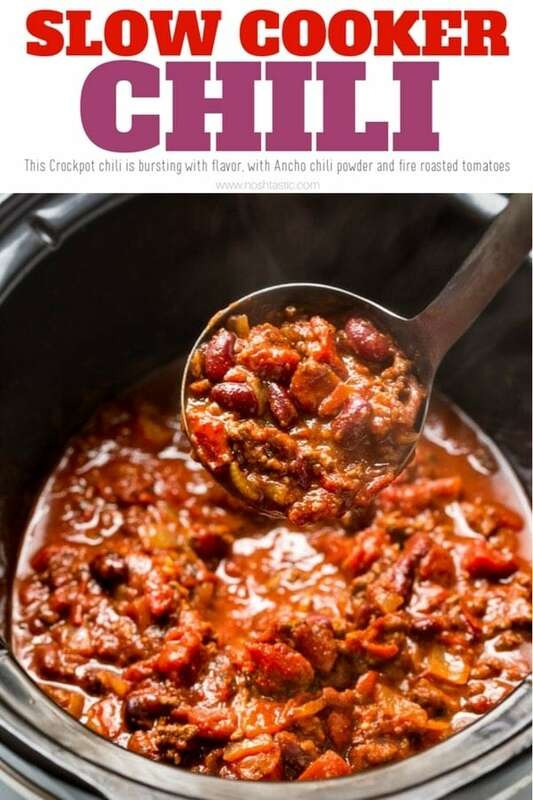 Slow Cooker Chili – this recipe is so easy to make and really requires no advanced cooking skills! 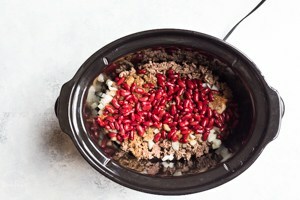 I love that you can you can more or less dump everything in your Crockpot, give it a quick stir and come back hours later to a wonderfully tasty weeknight dinner, it doesn’t get any better than that! 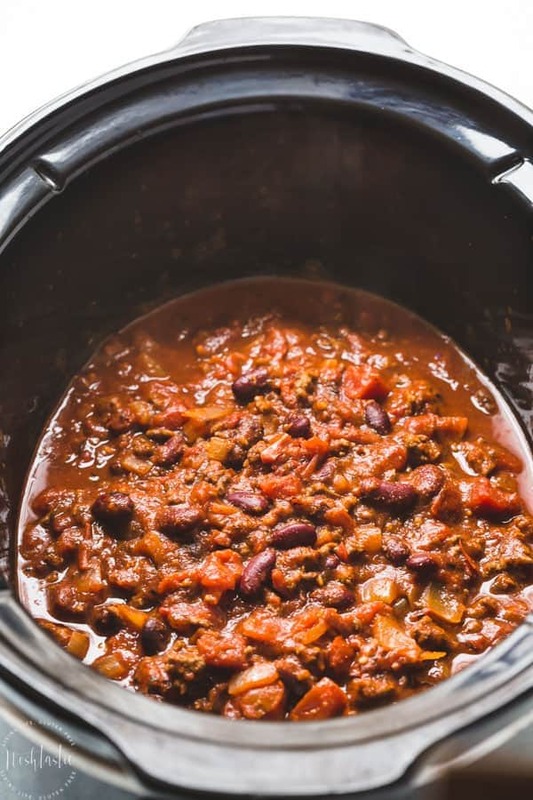 My Slow Cooker chili recipe has been tweaked, tested and tasted to create a really flavorful Crockpot chili that you can further adapt to suit your own tastebuds. I’ve used crushed fire roasted tomatoes in my recipe as I think it really adds a little something extra to this recipe and it’s worth trying over regular canned tomatoes. 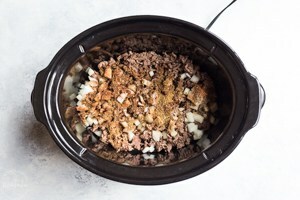 Once you’ve browned the ground beef add it to your Crockpot along with the chopped onions, garlic, Ancho Chili powder, cumin, oregano and cayenne pepper. Then you’ll need to add the red kidney beans, gluten free beef broth, crushed fire roasted tomatoes and tomato sauce and give it a good stir to let the flavors mix together. If you don’t like kidney beans you can substitute Pinto beans instead. Once it’s mixed it may look a little thick, that’s ok as it will create more liquid and juice as it cooks. If you like really ‘saucey’ chili you can always add more tomato sauce or chopped tomatoes, but you may also need to increase the seasonings to compensate. 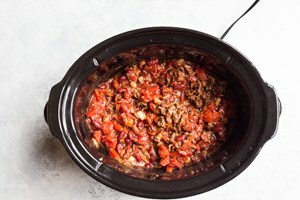 Put the lid on and cook your slow cooker chili for 3-4 hours on HIGH or 6-7 hours on LOW. I have an old Crockpot that does not run as hot as the newer models (I think they changed the regulations over the minimum cooking heat) and so it takes longer to cook than my newer slow cooker so you will just need to check in after a few hours to see how your chili is doing. 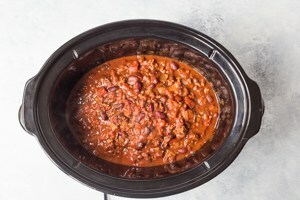 The cook time for this recipe is not an exact science and will be different based on your own slow cooker as I mentioned above, and also your own personal preference for how ‘done’ you like your chili to be. Once it’s cooked to your satisfaction you can taste it and add salt and pepper to taste. I didn’t add salt to the recipe before the end of the cook time as beef broths and canned tomato products can be quite salty already depending on the brand. Some in my family like a much hotter chili so you can also add in more cayenne pepper to get the desired heat level you want, and feel free to increase the ancho chili powder, cumin and other seasonings, it’s really a quite forgiving recipe and you can tweak it to suit your family. 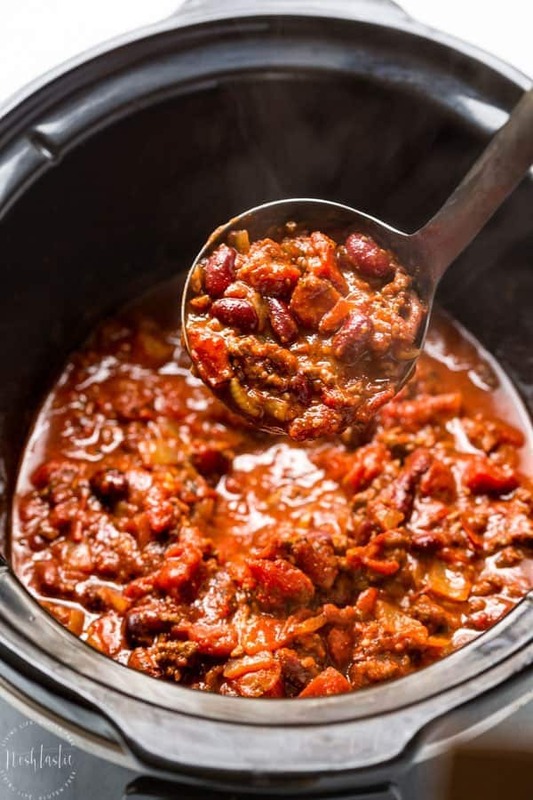 My Slow Cooker Chili is a rich warming chili with a wonderful blend of spices including cumin, oregano and Ancho chili powder and the addition of fire roasted tomatoes which gives it an added flavor boost. 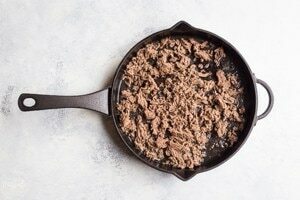 Brown the ground beef in a cast iron or non stick skillet then place the beef into your Crockpot or slow cooker. Add the chopped onion, garlic, cumin, oregano, Ancho chili powder, and cayenne pepper to the slow cooker and give it a good stir. Now add the red kidney bean, crushed fire roasted tomatoes, tomato sauce, and the beef broth then stir again then put the lid on. Cook on HIGH for 3-4 hours or for 6-7hrs on LOW. The exact timing will depend on how hot your slow cooker runs and your own preferences for how well cooked you like your chili. When cooked taste and season with salt and pepper and add more cumin, cayenne etc as desired. Serve hot with gluten free cornbread, crackers, or over rice and top with sour cream or cheese. These are approximate and will vary depending on the brands you use. It assumes you are using 90% lean ground beef.